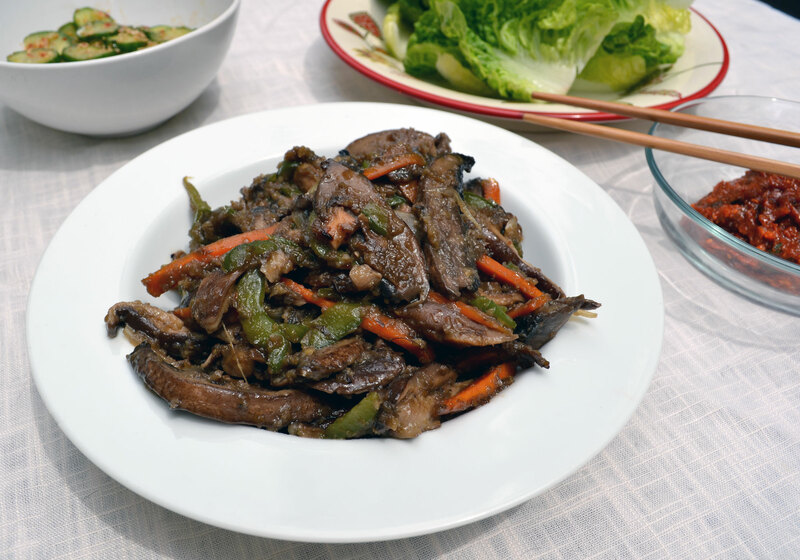 My mother from Oshkosh, Wisconsin makes delicious bulgogi with chicken or beef but I don’t eat it any more as I’m a veghead. Does this mean no more bulgogi in my life? Never! Here comes the trusty mushroom to save the day. Same marinade, different protein (ok, and texture). This wonderful vegetarian/vegan dish also solves the modern problem: Oh how can a paleohead/glutenfreehead and a veghead have a dinner party together? It also solves the problem of what else can you bring to a vegetarian bbq. 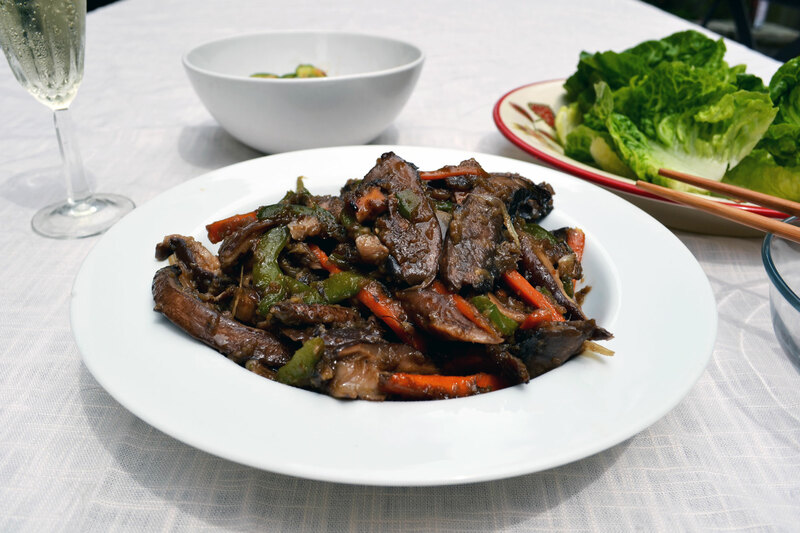 This is not a complicated dish and to make a full meal of it, serve with kim chi, sticky rice, fresh green lettuce and ssamjang paste (or ko chu jang in a pinch). Skip the rice if you like. Or go all out and make several side dishes such as bean sprouts, soup, radish kim chi, pickled cucumber, pancakes, etc. 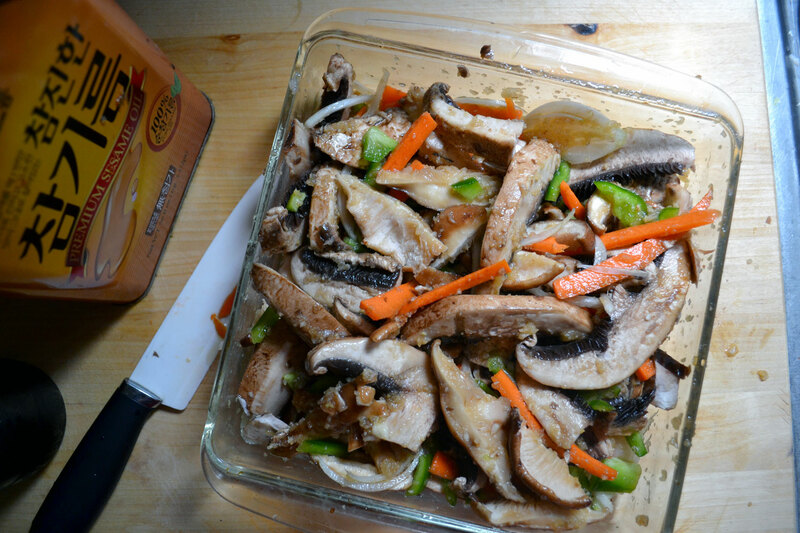 You do need about an hour for the mushrooms to marinate. 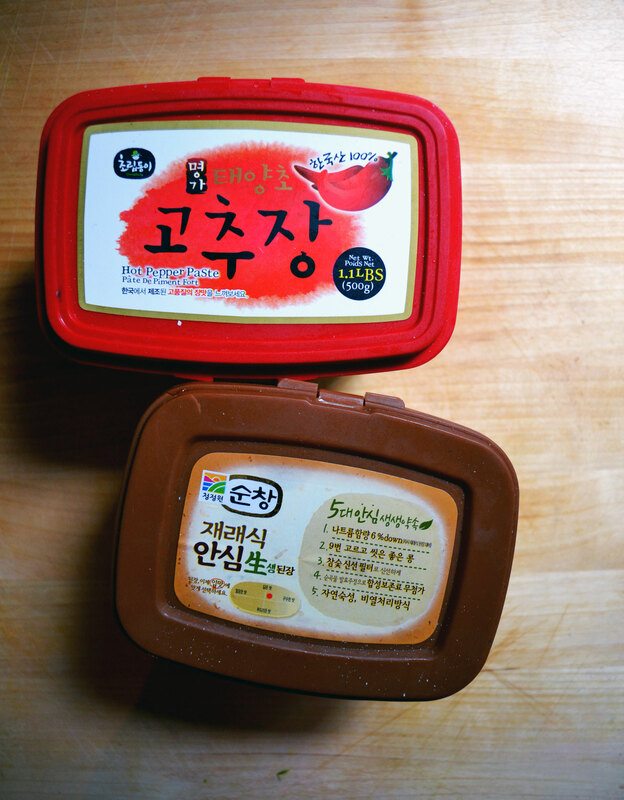 *Buy these at a Korean or Asian market. 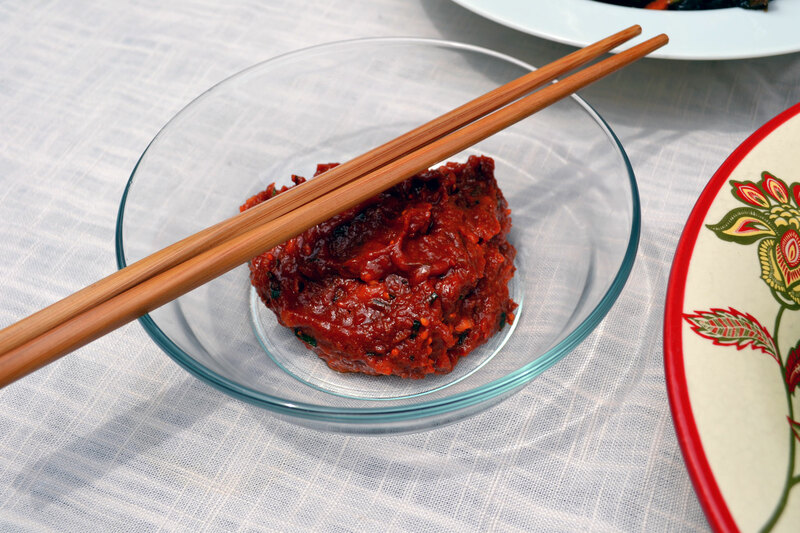 Go chu jang (or Ko chu jang) is in a red container with a chili pepper on it and Doen jang is in a brown container usually. 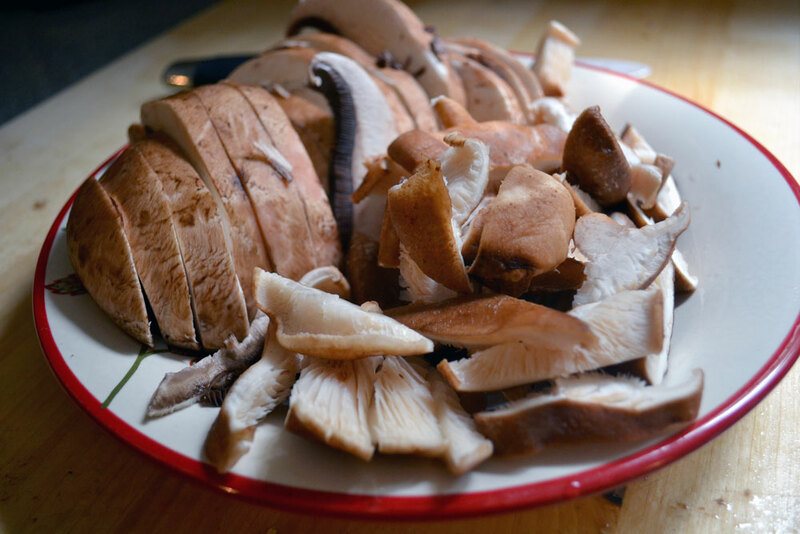 1) Wash and slice the mushrooms. Set aside. 2) Put 1/4 of the white onion, garlic, ginger and pear in a food processor and blitz. Add a sprinkle of water if necessary. 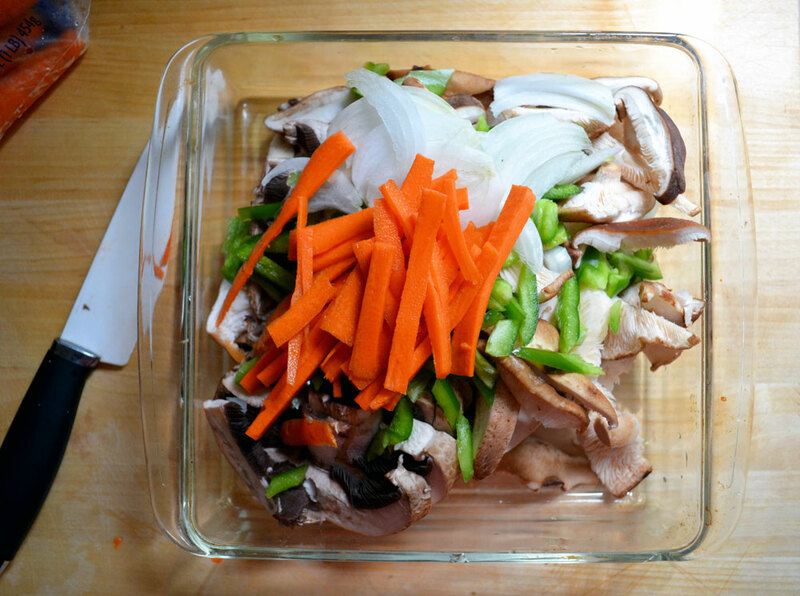 3) Add the sliced carrot and green onion to the mushrooms, along with the other 1/4 of white onion, sliced. Add the garlic/pear paste and mix. 4) Add the soy sauce, sesame oil, sugar, and pepper. Mix together thoroughly. Cover and set in the fridge for an hour to marinate. 5) After an hour, remove from the fridge and mix again. Heat up olive oil in a wok (or simply skip this and cook on the grill outside using a tray or sheet of tinfoil). 6) Pour the mushroom mixture and all the marinade into the hot wok and fry on high for about 15 minutes. Turn the heat down slightly as the juices start to evaporate so it doesn’t burn. Cook till all the soupy marinade has been absorbed and the mushrooms are cooked. About 20 minutes. 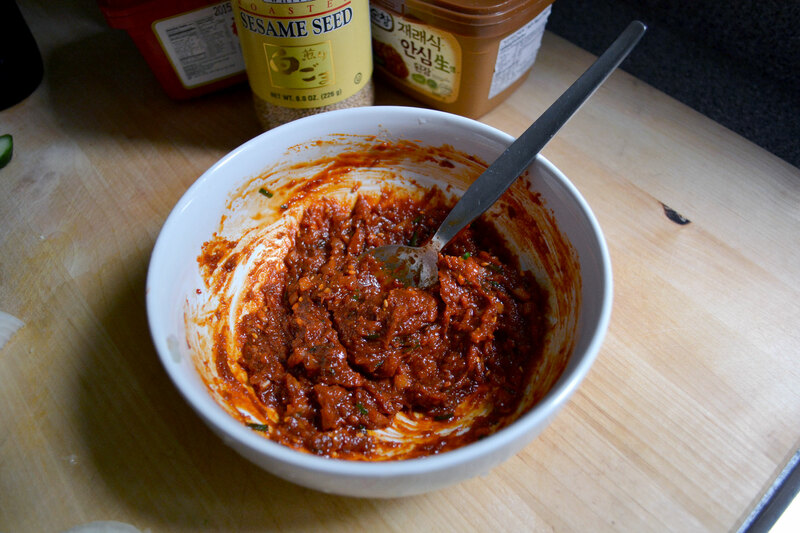 7) For the ssamjang sauce, simply mix everything together. 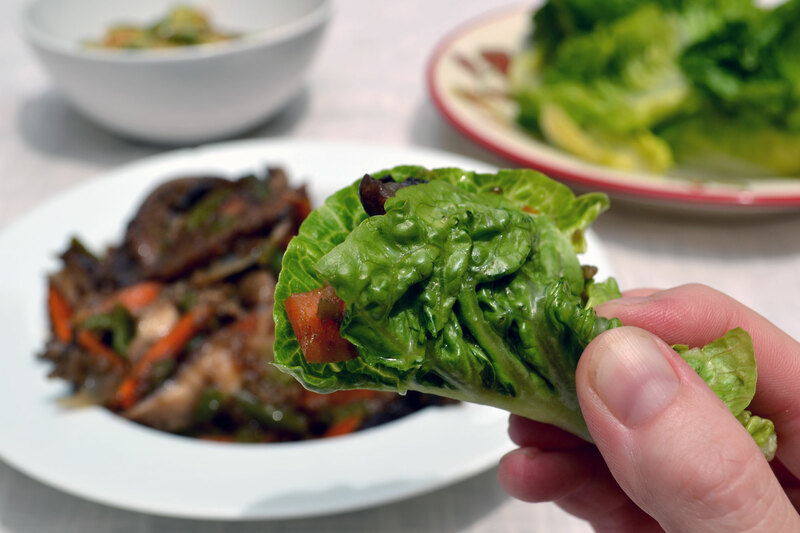 Serve with ssamjang paste and lettuce as a hand held wrap. 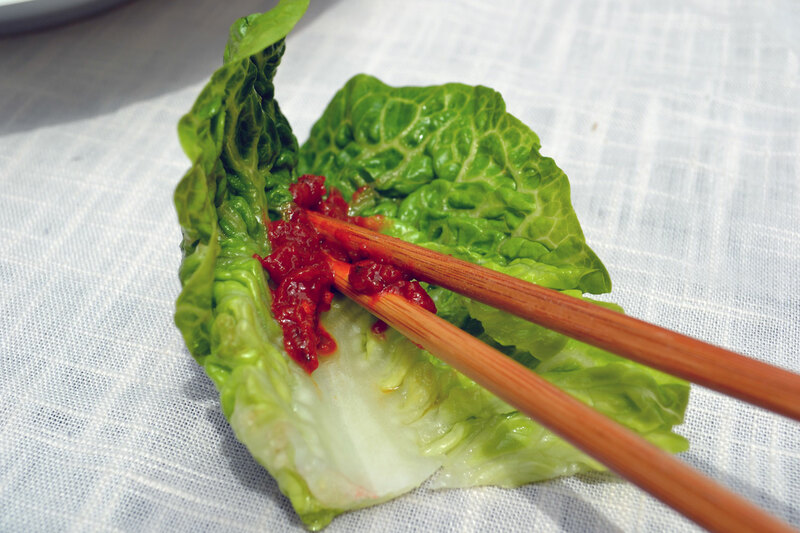 Take a piece of green lettuce such as romaine, butter or gem lettuce and dab as much ssamjang as you like. 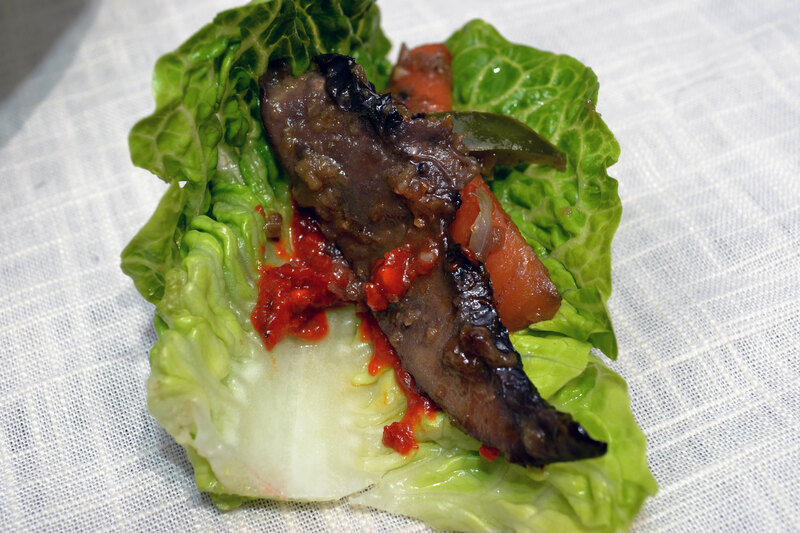 Add some mushroom bulgogi (and sticky rice if you like), fold up and eat! I made some pickled spicy cucumber and sticky rice to go with our dinner tonight, but the more banchan, the more tasty fun.